Gift of Hope is a non-profit organization that coordinates organ and tissue donation and services to families of donors in Illinois. The University of Chicago Medicine's Transplant Center care team is here to help through the Living Donor Champion Program. This program is available to all patients on the kidney transplant waiting list and is designed to help kidney transplant patients jumpstart the conversation about live kidney donation with family, friends and acquaintances. [MUSIC PLAYING] We're both back running. We both feel really good. You can really tell easily is my time's gotten a lot slower. That's one of the first symptoms that showed up. I have polycystic kidney disease. And it's a hereditary disease. And cysts grow on your kidneys and eventually choke out the actual real function of the kidneys. It's just an amazing sacrifice. It's humbling to see him to be willing to do this. And just a great friend. And it's just amazing. He's a really great guy. And like I said, he never put any kind of pressure on you, you know? And he's never complained. So yeah, he's a really good guy. So my kidney has found a nice home. Rich not only participated by taking care of himself, in terms of eating healthy and keeping his weight at a healthy state and staying active. He also participated in our living donor champion program. That is a program that is unique to the University of Chicago. And what we do is we teach the recipients how to tell their story and how to go about asking others to potentially donate an organ. That's a very difficult thing. I mean you're not asking somebody to loan you a cup of sugar. You're asking somebody to go through a surgical procedure. The surgery went very well, successful. We're both back running. We both feel really good. And we're both really happy at everything that transpired at the University of Chicago. This is really one of the truly altruistic things that is done. It's the gift of life. And it is the ultimate altruistic gift. Through the Champion Program, kidney transplant patients identify a personal advocate — or champion — in their lives who can help spread the word about their need for a living organ donation. Working with a champion can help remove some of the burdens felt by kidney transplant patients as they wait to receive an organ. The patients and their champions will attend two 2-hour classes together at UChicago Medicine, first to learn the basics of kidney disease and then to meet past donors and recipients and learn how to more readily share their stories. Each meeting consists of an education session and a panel discussion. Parking vouchers and light refreshments are provided. 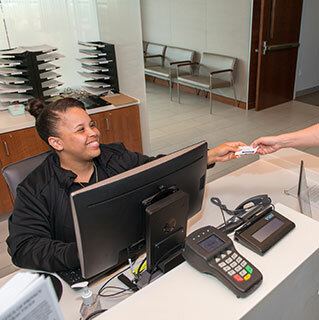 Get an overview about our kidney living donor program, patient and family amenities and maps and directions to our campus. This helpful guide outlines basics about who can be a kidney living donor, what to expect before and after surgery and answers other common questions about kidney donation. To learn more about the Living Donor Champion Program, call 773-702-6867 or email LDChamp@uchospitals.edu. Leah Weber managed her kidney disease quietly, and almost no one outside her immediate family knew. She and her husband Keith enrolled in the UChicago Medicine Living Donor Champion Program. The unique program teaches a patient’s chosen “champion” — a friend or family member — how to share their story in order to find living donors.